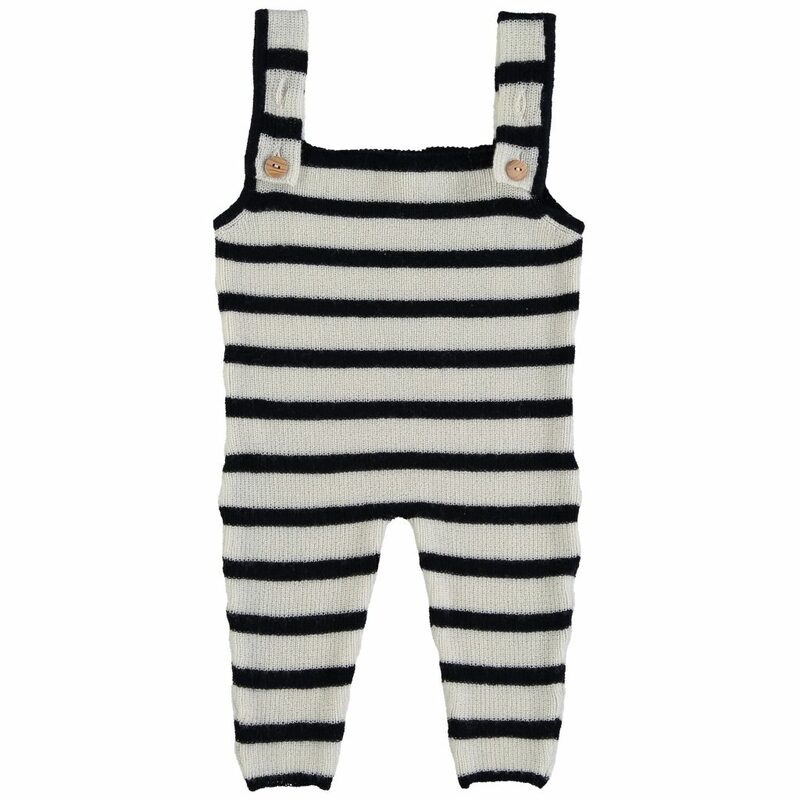 Fine, knitted merino overall with Navy stripes. Soft fine knitted in flexible and soft merino wool. Two real wooden buttons. 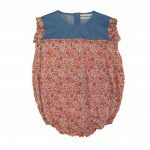 This product comes in size 6/9 months and 9/12 months, the suspenders have two positions so there is room to grow. 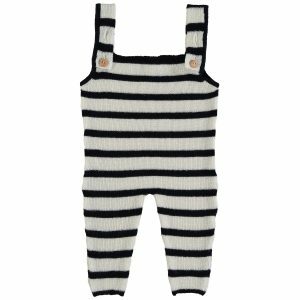 Fine, knitted merino baby navy overall with stripes. 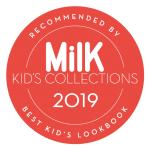 Soft fine knitted in flexible and soft merino wool. Two real wooden buttons. 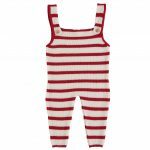 This product comes in size 6/9 months and 9/12 months, the suspenders have two positions so there is room to grow.